Article 50 is the clause which triggered the UK’s withdrawal from the EU and gave the country two years to negotiate an exit deal. 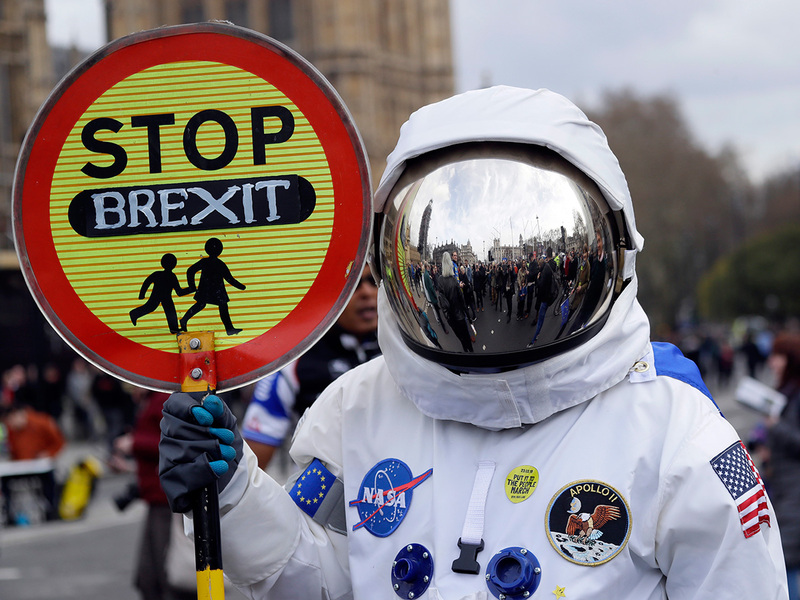 A petition to revoke Article 50 and cancel Brexit had almost five million signatures on Sunday. “I do not believe we should be revoking Article 50,” May said. But that may change under a new interim PM. The EU will want to know one way or another by April 12. A second referendum would see the decision-making taken back to the UK public for a final vote on the Brexit deal. More than a million people took part in a march on Saturday in London demanding that happen. With parliament so divided now, that is unlikely to happen – time is critical. Article 50 notice would be revoked, the UK would have to take part in the European Parliament elections. EU leaders have granted May’s request to delay Brexit, on the condition that her deal is passed by the end of this week. It has been rejected twice by parliament, and is unlikely to pass again. If it is rejected, the UK government has until April 12 to request a much longer extension – taking art in the European Parliament elections at the end of May or crashing out on April 12. If the deal is passed, the UK leaves the UK on May 22. Another option is a softer version of May’s deal, which would see the UK remain within the customs union. This means goods can pass between the UK and the EU without checks or duties. It would have to be in place by May 22. This option would also include access to the single market – the European trade bloc which guarantees the free movement of goods, capital, services and labour. Brexiteers are vehemently opposed to free movement and only want skilled workers to come to the UK. It would have to be in place by May 22. A free trade agreement would see the UK accepting a Norway-style deal. Members of the European Free Trade Association, which includes Norway, Iceland, Liechtenstein and Switzerland, have access to the single market and limited EU trade barriers, but are not in the customs union. It would have to be in place by May 22. The UK would crash out on April 12 with no agreements in place. The country would be forced to make its own arrangements with others outside the EU and tariffs would apply immediately, bringing unprecedented chaos and shortages. Last week the UK’s military activated a team in a nuclear-proof bunker as part of the no-deal Brexit preparations.